FREE POSTAGE - PAY LESS and GET EVERY ISSUE delivered! Subscribe Online today! When you subscribe you will be saving money that can go towards hunting gear! Your will never miss out on your favourite magazine! You don't have to go to the shops - it will be delivered right to your mailbox! 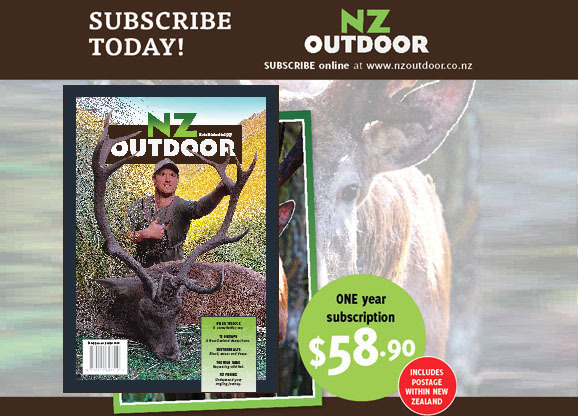 By subscribing you support all the hunters that work hard on making this the best hunting magazine in New Zealand.